OK, let’s be real here first. Any time is a great time to head to the islands for a golf trip. Every island has its own golf treats from terrific course to great views to the best resorts. 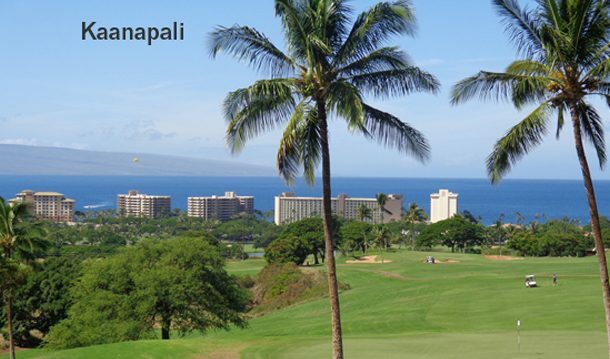 • Ka’anapali Resort: Ka’anapali Golf Courses is home to not only 36 holes of championship golf, but also Maui’s only FootGolf course layout available daily after 4 p.m. So whether you’re a hard-core golfer looking to test your skills on the Royal Course where legends Arnold Palmer, Jack Nicklaus, Nick Price and Jan Stephenson have played, or you’re looking to take the family out or plan a corporate team building event on the FootGolf layout, Ka’anapali is the place to be. Several resort hotels offer golf packages and the courses offer multiple round packages direct, for those playing several times during their stay. If you’re traveling with a surfer or snowboarder in your group, they can ‘surf the earth’ with Ka’anapali’s Golf Boards available for a $25 fee with your round of golf. • Kapalua Resort: The Plantation course is known for its hosting of the PGA Tour’s Sentry Tournament of Champions every January featuring the tournament winners from the past season on the PGA Tour. Television does not do the course justice. This is a course with some great views, rolling terrain and a set of closing holes that are terrific. The 17th hole is a downhill par-4 with the Pacific Ocean as a backdrop. Long drivers will find trouble off the tee if they don’t back off. Dramatic elevation changes, and nature’s challenges, as you test your ability and experience golf at its finest. • Wailea Golf Resort: Among the world’s great golf destinations, Wailea has plenty to offer with its sand beaches, resort setting and three golf courses – the Gold, Emerald and Blue. Renowned for its ideal golf weather – typically sunny with gentle breezes – Wailea Golf Resort is rated among the best golf courses in the country by both Golf Magazine and Golf Digest for the quality of its courses and accommodations. The Emerald and Blue courses at Wailea are also a must-play when you are on site. 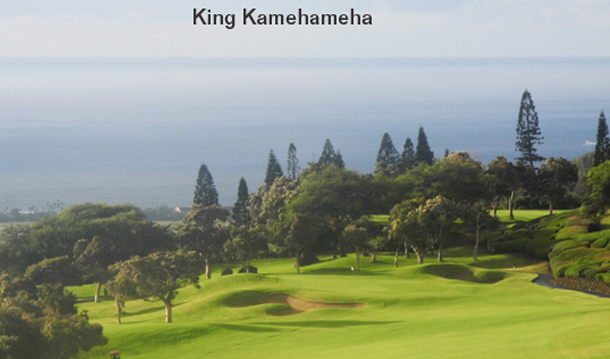 • King Kamehameha: There are two things that get your attention right away at the private club, the views from every hole and the Frank Lloyd Wright clubhouse. Every hole features a view of the Pacific Ocean and the terrain rolls up and down the hillside. The 74,000 square foot clubhouse is a gem. The 700-foot elevation from the course and the clubhouse offer ocean and Haleakala views. The course gets your attention from the opening tee box, a downhill tee shot on a par-5 with an elevated green and the Pacific Ocean in the background. Troon manages the facility as well as the course down the road called Kahili.